The Texas Supreme Court handed down a disappointing ruling on Friday, which only served to muddle the established case law with regard to beach access in Texas and the interpretation of the Texas Open Beaches Act. The recent majority opinion and dissenting opinion in Severance v. Patterson are discussed below. The case centers around a California resident who bought rental property in Galveston, Texas. The purchaser, Carol Severance, received a disclosure notice explaining that the property may become located on a public beach due to natural processes and that the State could sue to have her forcibly remove any structures that come to be located on a public beach, under the Texas Open Beaches Act. See TEX. NAT. RES. CODE § 61.025; TEX CONST. Art. 1 § 33. As was arguably foreseeable along that part of the Texas coast at some point, Hurricane Rita came in 2005 and shifted the mean high tide line and vegetation line further inland. In 2006, the Texas General Land Office, under Texas Land Commissioner Jerry Patterson, determined that Severance’s house was entirely within the public beach. The majority held that easements do not move onto previously unencumbered private beachfront property when avulsive events (which are sudden occurrences, which, in this case, include severe storms and hurricanes) cause dramatic changes in the coastline. Specifically, here in Galveston where there is a Republic’s land grant, the history of public enjoyment of beaches does not extend to use of West Beach properties, which were formerly private property and not impressed with pre-existing public easements. “Land patents from the Republic of Texas in 1840, affirmed by legislation in the new State, conveyed the State’s title in West Galveston Island to private parties and reserved no ownership interests or rights to public use in Galveston’s West Beach. Accordingly, there are no inherent limitations on title or continuous rights in the public since time immemorial that serve as a basis for engrafting public easements for use of private West Beach property. Although existing public easements in the dry beach of Galveston’s West Beach are dynamic, as natural forces cause the vegetation and the mean high tide lines to move gradually and imperceptibly, these easements does [sic] not migrate or roll landward to encumber other parts of the parcel or new parcels as a result of avulsive events. New public easements on the adjoining private properties may be established if proven pursuant to the Open Beach Act or the common law"at p.32. The majority limited its decision in this case not only to opine on how major storms affect public easements, but also only as to how they are affected in this certain area of West Beach, Galveston. "Courts generally adhere to the principle that littoral property owners gain or lose land that is gradually or imperceptibly added to or taken away from their banks or shores through erosion, the wearing away of land, and accretion, the enlargement of the land. Id. at 952. Avulsion, as derived from English common law, is the sudden and perceptible change in land and is said not to divest an owner of title. Id. We have never applied the avulsion doctrine to upset the mean high tide line boundary as established by Luttes, 324 S.W.2d at 191." at p.22. "There is no support presented for the [the easement] that, during the time of the Republic of Texas or at the inception of our State, the State reserved the oceanfront for public use. In fact, as discussed above, the Texas Legislature expressly disclaimed any interest in title obtained from the Jones and Hall Grant after our State was admitted to the Union...On this issue of first impression, we hold that Texas does not recognize a 'rolling' easement on Galveston’s West Beach…The State, as always, may act within a valid exercise of police power to impose reasonable regulations on coastal property or prove the existence of an easement for public use, consistent with the Texas Constitution and real property law” at pp. 20 & 25. The court goes on: "We have determined that the history of land ownership in West Beach refutes the existence of a public easement by virtue of continuous right “in the public since time immemorial, as recognized in law and custom,” TEX. NAT. RES. CODE § 61.001(8) at p.28. And at page 31, the opinion reads: "the original patent of Galveston’s West Beach from the Republic to Jones and Hall refutes the existence of custom." The dissent, by Justice Medina, joined by Justice Lehrmann, aptly points out the flaws in the majority’s logic and reading of the case law. They argue that the natural laws of the coast have compelled Texas common law to recognize rolling easements, even for storms. The wise dissent recognizes the need for a more proactive approach to anticipate storms and coastal movement without taking on a large burden for the State (which is currently in debt) or the people of the state that want to enjoy the natural beauty and resource of the coastline. The dissent focuses on the intent of the Texas Open Beaches Act, a comprehensive reading of the vast Texas court case law on the subject and incorporates a forward-thinking viewpoint in terms of public policy. "Through shoreline erosion, hurricanes, and tropical storms, these lines are constantly moving both inland and seaward. In the West Bay system, whence this litigation arose, forty-eight percent of the shoreline is retreating, forty-seven percent is stable and six percent is advancing, at an average rate of -2.9 feet per year.8 The beaches on west Galveston Island, where Severance’s property is located, have even higher retreat rates (a loss of over seven feet per year) because of their exposure to wind and waves. Natural erosion from waves and currents causes an overall shoreline retreat for the entire Texas coast." dissent at p.4.
. See also Mikeska v. City of Galveston, 451 F.3d 376, 378 (5th Cir. 2006) (recognizing public beach easement’s “natural demarcation lines are not static” but rather “change with their physical counterparts”); Hirtz v. Texas, 974 F.2d 663, 664 (5th Cir. 1992) (recognizing location of public beach easement “shifts as the vegetation line shifts”)." Dissent at p.11. The Severance v. Patterson Texas Supreme Court decision muddied the waters for the interpretation of the Texas Open Beaches Act, which could lead to more litigation due to the now conflicting case law in Texas and questions left unanswered, such as the contractual obligations of shoreline property owners who have been given notice of the shifting shoreline and the nuisance cause of action for scenarios concerning structures on the beach. Sellers of property on or near the coastline are required to include in the sales contract a “Disclosure Notice Concerning Legal and Economic Risks of Purchasing Coastal Real Property Near a Beach.” TEX. NAT. RES. CODE § 61.025(a). The notice specifically warns that "if you own a structure located on coastal real property near a gulf coast beach, it may come to be located on the public beach because of coastal erosion and storm events, and that "[o]wners of structures erected seaward of the vegetation line (or other applicable easement boundary) or that become seaward of the vegetation line as a result of natural processes such as shoreline erosion are subject to a lawsuit by the State of Texas to remove the structures." It is not state action that subjects beachfront property to a new easement after a storm but rather a force majeure. The majority opinion would have the state internalize the cost of poorly planned coastal development. The dissenting opinion does address Texas nuisance law, whereas the majority opinion admittedly does not. In nuisance law, property owners may not use their property in a way that unreasonably interferes with the property rights of others. As pointed out by the dissent, "an action that does not begin as a nuisance may nevertheless become a nuisance due to changing circumstances. See Atlas Chem. Indus., Inc. v. Anderson, 524 S.W.2d 681, 685–86 (Tex. 1975) (finding that heavy rains causing previously discharged pollutants from upstream manufacturing plant to spread more broadly across downstream land to be a nuisance)." 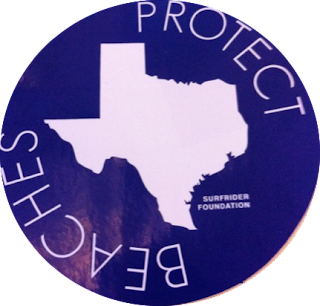 Surfrider Foundation will continue to work for strong public beach access in the State of Texas, regardless of this enigmatic decision. It is in the best interest of Texans across the state and visitors to the Texas coast to push for proactive and forward-thinking coastal planning, such as with the Erosion Response Plans adopted by localities. As is encouraged by the General Land Office, these plans should incorporate coastal development guidelines that take into account any gradual erosion AND anticipated avulsive events, such as hurricanes. As for the Severance case, the suit was initially filed in federal district court, which dismissed the case. The U.S. Court of Appeals for the Fifth Circuit affirmed the lower court's dismissal but sent some questions to the Texas Supreme Court for answers, prompting Friday's ruling. (Surfrider Foundation issued an amicus brief to the Texas Supreme Court in support of full and fair beach access.) Unless the Texas Attorney General seeks a rehearing, the decision will be certified to Fifth Circuit for a supplemental opinion.